At Zinda Law Group, our skilled attorneys have helped thousands of car accident victims get back on their feet after a wreck. Our legal team will fight tirelessly to help you pursue the maximum compensation you deserve. While we handle all the legal aspects of your claim, you will be able to focus on what is most important: your recovery. If you have been injured in a car wreck, call Zinda Law Group at (800) 863-5312 to receive your free case evaluation with our experienced car accident lawyers in Austin, Texas. Our Austin car accident lawyers have seen the stress and financial strain that can result from a vehicle accident. That’s why our lawyers dedicate themselves to protecting your rights and seeking compensation for all the ways the car accident cost you as a victim. If you’ve been the victim of a car accident, you likely feel confused or overwhelmed by what to do next. Fortunately, our Austin car accident attorneys are here to guide you through the entire process. 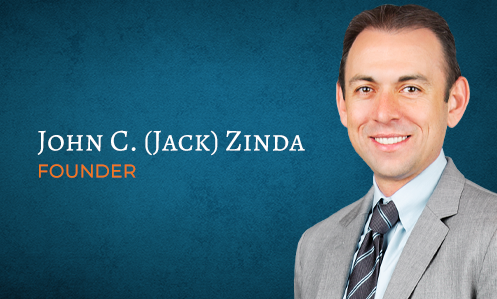 At Zinda Law Group, you are more than a number. We have the resources of a large law firm but pride ourselves on providing a personalized and small-firm feel for our clients. You won’t have to deal with a middleman but will always be able to speak directly with your legal team. Our Austin car accident lawyers are available 24/7 to provide the answers and help you deserve. We also work on a contingency fee basis, which means you won't owe us a dime unless we win your case. If you or a loved one has been injured in a wreck, call Zinda Law Group today at (800) 863-5312 for a free consultation with one of our experienced Austin car accident lawyers.